I never find the long lists of purchased CDs and downloads inspire me much so here is a thread for people to pick out occasional highlights of their purchasing and maybe add a bit more detail if they want. I hope it means people will find new music they like. I've bought all of Alela Dianes's work but this is richer and seems more consistent than other albums. There is a bit of Laura Veirs or KD Lang in her style (although she is from Oregon not Canada) and early albums were more dusty folk/country. This latest is smoother and lyrically really interesting and it engages over several listens. A subtle pleasure but high quality I think. 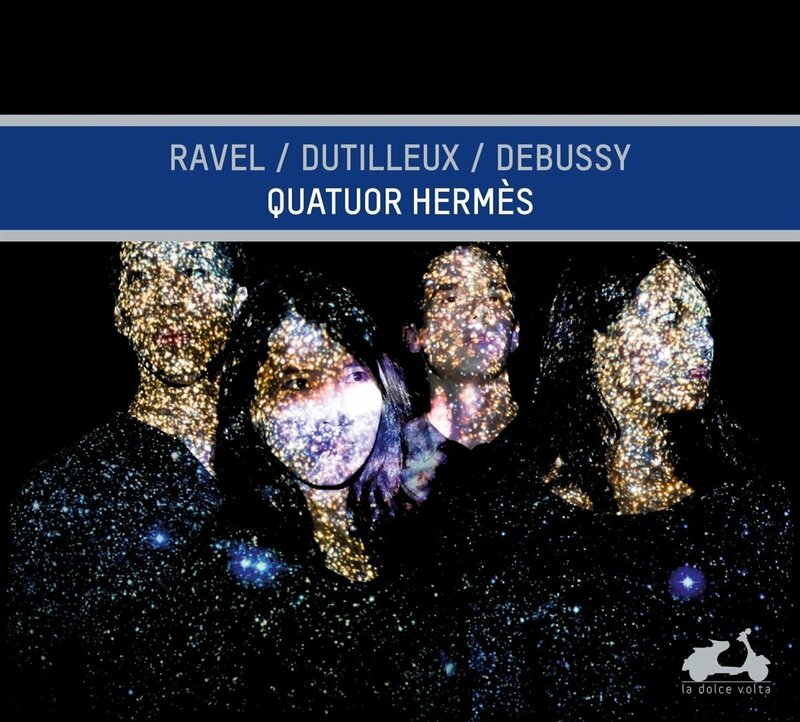 If you like this try her previous albums (To Be Still possibly the best, if a bit spikier) and maybe Anna Tivel's excellent recent brace of Small Believer from last year and Heroes Walking from 2016. Very good indie country folk albums with great storytelling-style songs and a clean and natural style. Again quiet and simple albums but worth the effort. A good idea, Bruce. By a strange co-incidence, I am downloading this as I write. Another co-incidence downloaded this yesterday - wonderful. Loma are an amalgamation of Cross Record and Jonathan Meiburg from Shearwater - a collaboration brought about when Cross Record supported Shearwater on their last tour. Given the individuality of Meiburg's writing and singing one might expect this to be a one-way trip, but nothing could be further from the resulting album. The vocals are lead by Emily Cross's rather waif-like voice, but the main characteristic of the album is the strength of the songs and the nature of the arrangements - they're delicate and layered in such a way that each listen reveals more and in a way that's just off-kilter enough to be interesting rather than generic. The obvious ear-catching songs are Relay Runner, Joy, and Black Willow but the heart of the album is the run from White Glass > Shadow Relief, where I'm reminded of the feel from the last two Talk Talk albums. This is a real grower and a gem. Just heard a tack on Radio 6 on the drive in to work and liked what I heard. Thanks for the links. Thanks Nick. This sounds really interesting. I've just ordered the LP from the States. Thanks for this superb recommendation - I see where you're coming from re Talk Talk's Spirit of Eden & Laughing Stock. Picked up on Qobuz - as Bandcamp is getting a bit lumpy with the exchange rate and especially VAT. Hadn't come across them before but somes really good and like another group that used to be around sometime back but the name of escapes at the moment. And the recording is pretty good as well. 15 albums in and YLT have produced something entirely yet quite different to what has gone before. Most of their usual styles are present (although there are no extended squally feedback solos) but it is the most ambient and electronic of all their albums, closest to their excellent soundtrack 'The Sounds of the Sounds of Science' or perhaps 'Summer Sun' in terms of its overall mood and sweetness. The track posted above is the most conventional (and most similar to tracks from their last original release 'Fade') but be prepared for instrumental longeurs as well. It might be the first YLT headphone album! I think this is a very good YLT album and it is great to hear them doing new things after 30 yrs+ without losing their essential flavour. Is it an album that gets new listeners hooked? Let me know-and be prepared to investigate a back catalogue of great diversity and fun. Thanks, Bruce. I only have the �Prisoners of Love� compilation, which has some great stuff on it, so I�m interested by your review. That is good compilation that summarises a lot of the earlier 'classic' YLT work but in my view it is definitely worth still buying the albums because there is so much variety on them. 'And Then Nothing Turned Itself inside out....' would be my favourite from that era probably. Though this is from 2012, I've only just stumbled across it. My loss! They're led by Ethan Miller (of Heron Oblivion, Feral Ohms) who does the singing and plays one of the lead guitars and they included at the time the very, very wonderful Isaiah Mitchell (of Earthless fame) on the other lead guitar. The style is 70's blues rock of a Southern disposition (some similarities with Lynyrd Skynyrd) with excellent songs, a rough-edged vocal style backed up with stunning twin guitars howling at each other at every opportunity. The two videos below, the first straight from the album, the second from the same tour, will give you the idea. The studio albums sound good too, though lack the seat-of-the-pantsness of this live stuff. Thanks Nick, I was notified that you had bought this so I had a quick read of the blurb on bandcamp this morning. I've stuck it in my wishlist and will get it downloaded anon. I must have tracked down everything by Howlin Rain and was lucky to see them in London a few years ago and meet the legendary Ethan Miller - well he was actually selling his own merchandise. If I could recommend a truly awesome album by this band it is Magnificent Fiend epic in every sense of the word and well up there in my top ten albums of all time. It just floors me....... One of those bands everyone should know but then again I like the fact that only a few do and those few must be wonderful people to appreciate such greatness! Thanks Andy, I guess I'm going to be tracking down Magnificent Fiend. I confess up front to being a complete RVW nut, so bear with me. This is, as it says above, every note RVW wrote for the film, written almost entirely before filming and based on the book The Worst Journey In The World by Apsley Cherry-Garrard. It has twice the music that the otherwise excellent Chandos film score (Rumon Gamba) and perhaps because of that and the fact that it does follow the book in sequencing comes across as a more complete and engrossing narrative - as well as including a ton of wonderfully evocative music otherwise not heard before. Despite having a lot of fairly short cues (there are, after all 41 tracks) it never seems bitty or piecemeal to me. 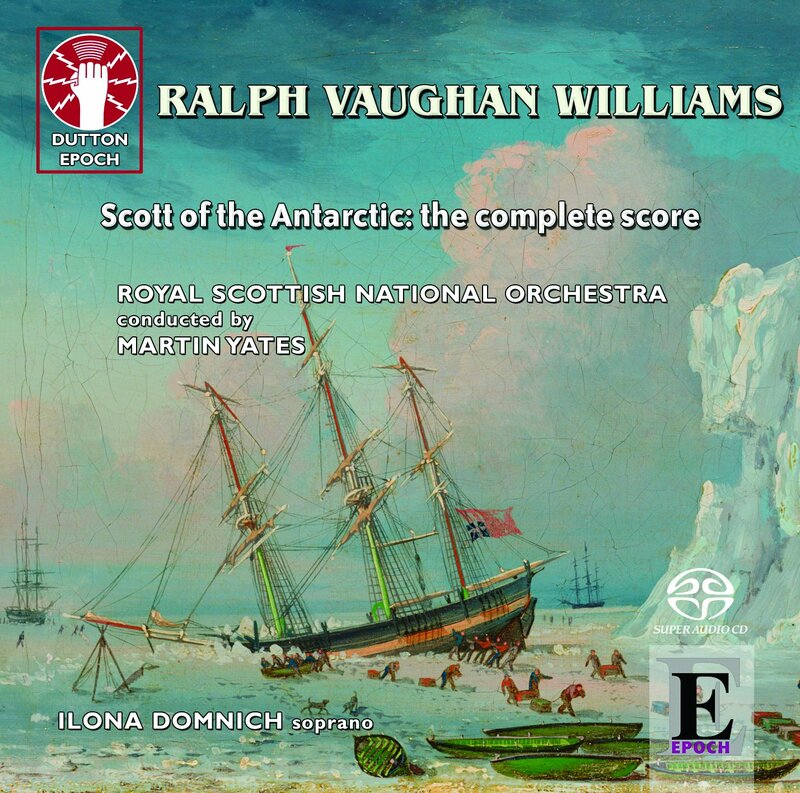 It's an excellent recording and I find the whole thing an emotional trip - far more than Sinfonia Antarctica, which in all respects I adore. I couldn't find any clips online, so here's the Gramophone review instead! It's been a while since we've had a standout release. I picked up on her last album Pink City via a comment from Tamara Lindeman of the Weather Station who was being showered with accolades for her last album and said something along the lines of if you think I'm great then listen to Jennifer Castle. Thanks for the Jennifer Castle. Good find! The Bandcamp tags pretty much all ticked boxes for me. This is breezy French pop from Melody Prochet with psychedelic hints of Stereolab and even Dungen, and is just a breath of fresh air from start to finish. Not just great tunes, toe-tappingly catchy, but enough variation in the production and arrangements to keep the interest going. This is on my album of the year list. Picked this up last week and love it, particularly at the price. Great album as was her debut a few years ago. Spot on with the Stereolab comparison. Once in a while a record comes along that just hits the spot - Astral Drive by Astral Drive who is/are record producer/songwriter Phil Thornally. This album is a complete rip-off of Todd Rundgren (or Gregg Alexander's New Radicals) down to the Bearsville vinyl and glimpse of Todd in the video. Although it's on Qobuz for �7.99 for the 16-bit, the record company site has it for �7 and at that price you can select either MP3 or up to WAV 24 bit at the same price! Great description. And the music�s put a big grin on my face!